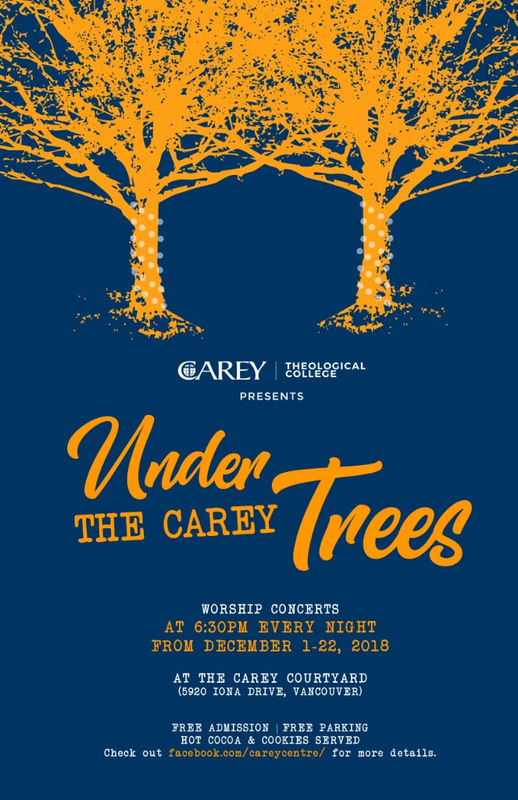 Your worship team is invited to lead Christmas praises "Under the Carey Trees". Carey Theological College, a school on the UBC campus offering accredited graduate theological degrees in addition to being a Christian residence to UBC students, will be holding a nightly praise and worship concert in its courtyard from December 1st to 22nd, 2018 from 6:30 pm to 8:00 pm. Carey is inviting your church's worship team to lead the UBC community into a spirit of thanksgiving for the glory that is Christmas. Interested in leading a night (or a number of nights) of worship? Check out the available schedule below and indicate it in the form when you register your church's worship team. Haven't decided on a date yet but interested in performing? No worries. You can still register your church's worship team and we'll be in contact with you for an available date. 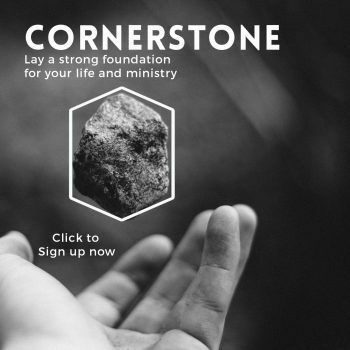 Register your worship team here even if you don't have a preferred schedule yet. Check out the available schedule here and find out when's the best time for your worship team to perform. If you have any questions, please feel free to send an e-mail to Mel Espadilla at mespadilla@carey-edu.ca or call (604) 225-5920. We sincerely hope you will grace the stage under the Carey trees and lead the UBC community in worship in this most wonderful time of the year.